If my math is correct, ol' Mick should have offed himself about 23 years ago. Instead, the Rolling Stones are playing their first Austin show ever Sunday night in Zilker Park as part of their Bigger Bang Tour. To be fair, I'm not sure "Satisfaction" is on the set list these days, but I'll get to that in a minute. I've never been a big Rolling Stones fan, but I suppose I respect them for continuing to play sold-out shows and make records long past the age when most bands would have put themselves out to pasture. Here's what I don't respect. Let's say Jamye and I wanted to get seats close to the stage for the show on Sunday night. Let's run that through Ticketmaster, shall we? OK, Section G, Row 16, Seats 11 and 12... that comes to... $757.90. Let's just look at getting a pair of General Admission lawn tickets, shall we? Wow. A relative bargain at $225.60. I realize that this is a big production with lots of people working behind the scenes who need to get paid, but I'm sure a few guys over at American Express, the sponsor of this tour, are getting more than their fair share of my hypothetical ticket purchase. So, I guess that's what really bugs me. 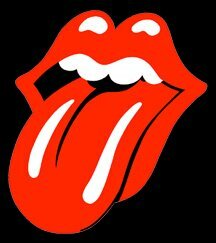 The Stones appeal to a large set of baby boomers with large amounts of disposable income, and that's fine. Like I said, I'm not a big fan, so I'd be hard pressed to pay much more than $50 a ticket for that show even if some magazine says they are the #1 band to see before they/I croak. Conversely, I didn't bat an eye at the $70 ticket price to see The Who on our honeymoon four years ago, which was about when this article on ticket prices was written. While ticket prices may be trending back to "normal" according to this data, it all boils down to value. If people can't put a price on the experience, people may well pay any price for that experience, and I'm down with that. It's worth mentioning that 3-day tickets for this year's ACL Festival (featuring 130 bands) were $100 if you bought them early. They could charge twice as much and have half the people, but the ACL promoters value John Q. Music Fan. Maybe that's why the Rolling Stones' first visit to Austin is not yet a sell-out.